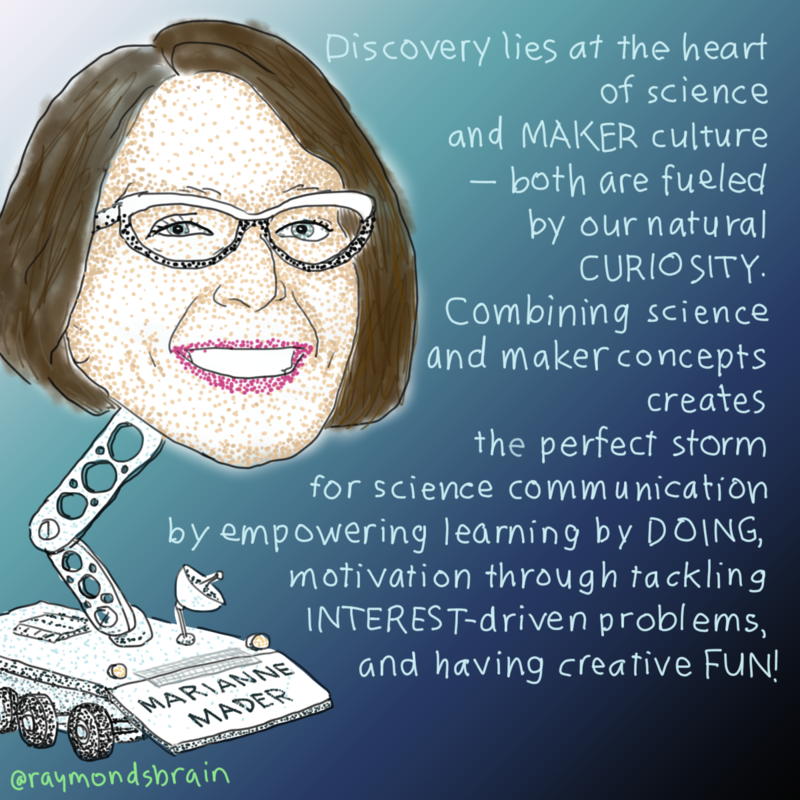 “Discovery lies at the heart of science and maker culture – both are fueled by our natural curiosity. Combining science and maker concepts creates the perfect storm for science communication by empowering learning by doing, motivation through tackling interest-driven problems, and having creative fun!” – Marianne Mader, geologist and planetary scientist, cofounder of STEAMLabs. Originally posted on October 4, 2016.